The Maleny Soldiers Memorial Hospital was built to commemorate those who served in World War One. 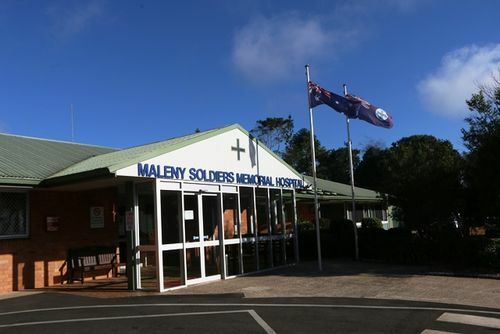 The Maleny Soldiers Memorial Hospital was opened as a private hospital on 1st August 1920 with Dr. Anderson, as the Medical officer and Matron Gorringe as his aide. The hospital was officially opened on 21 October 1920 by Mr H. F. Walker, M.L.A and was built by public donations as a memorial to the soldiers who fought in World War One. The hospital building was was erected by Mr Paul Tesch of Witta, for £1157 and £300 was spent on hospital furnishings. All returned men and women who served in World War One were treated free.